The Templeton World Charity Foundation, Inc. (TWCF) has awarded a $215,950 planning grant to Fuller Theological Seminary to be administered by the Travis Research Institute (TRI) at Fuller’s School of Psychology. This grant, directed by Dr. Joey Fung, assistant professor of psychology and principal investigator, will support an 18-month exploratory study to research the capacity of spiritual and secular versions of mindfulness meditation to develop empathy and generosity in young adults. 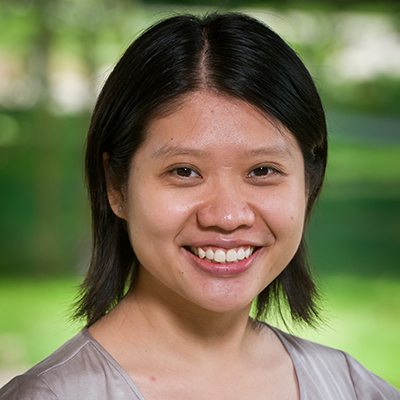 Fung will also use this grant to extend her research to Hong Kong where the same curricula will be tested cross-culturally by co-investigator Dr. Tracy Lo, assistant professor at the China Graduate School of Theology. The grant, titled “Mindfulness Meditation and Virtue Development: Examining the Effects of Secular versus Spiritual Meditation on Empathy,” enables Fung to develop a spiritual mindfulness curriculum and compare its effects with those of a secular or traditional curriculum. In spring 2016, 150 local college students will be randomly assigned to one of the two six-week meditation curricula, during and after which levels of affect, spirituality, empathy and subjective well-being will be assessed. The Travis Research Institute exists to provide leadership, synergy, administrative support and infrastructure necessary for faculty, students and postdoctoral fellows in the School of Psychology at Fuller Theological Seminary to carry out impactful psychological and interdisciplinary research that influences the academy, the church, and society at large. The Templeton World Charity Foundation was established by the late Sir John Templeton to support discoveries of new spiritual information and promote spiritual research. Templeton’s desire was for spiritual research to increase as rapidly as medical research did in the 20th century.